Customers who buy any 25 items will receive a FREE GIFT. 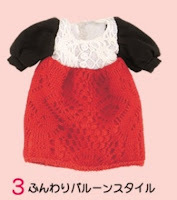 You have a choice of 4 types of Re-ment (Rement) Puchi Mode Collection Clothes. These fashionable will fit your blythe doll. This offer starts from Friday April 17 (Tokyo Time) until Monday May18. The shipping for this item is FREE too! 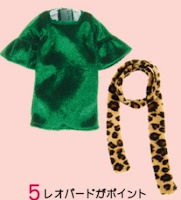 Generous giveaway!Nice dress paired with an animal print scarf. thanks! !it is kind of cool, looks better in real life!